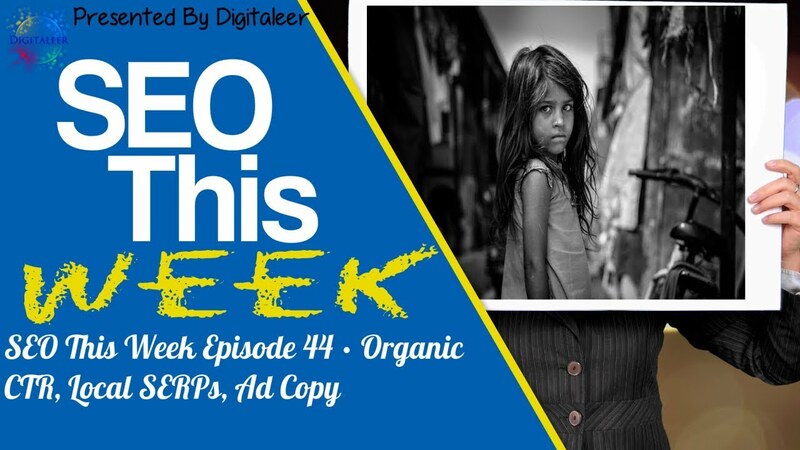 Welcome to Episode 44 of SEO This Week. I hope you enjoyed the interview with Derek Booth on the last episode and I'd also like to welcome the folks from iTunes who picked up on our new podcast! This week we bring you a tip to connect your Facebook page to your group, a 2017 SERPs click through rate study, a perspective on local search, and a golden tip on writing ad copy for your business that you are just going to love. All this and more on Episode 44 of SEO This Week! Our Insights: It has been a while since anyone conducted a click through rate study of the search results in Google so this comes at the right time. The data set they used to come up with these numbers is pretty small in comparison to some other studies, however, just doing one is not small feat so we'll take it. A couple interesting things out of it that I picked up on was that the first organic position in their data set was getting 21.12% of the clicks. The other was that all the results, right down to number 20 were getting more clicks. What that tells me is that Google's ever increasing ad blocks are turning off users and they are starting to look more and more at page 2 for relevant results. Our Insights: Tagging does tend to add another level of work to your daily routine when you are building links or sending out promotions, however, like the summary suggested if you don't do it you could potentially be losing out on some good information. The real reason you want to add this is that you can follow user flow based on specific tags and see where you are losing the conversion in your funnels and better adapt. You might also find that one channel is looking for your product as presented, however, another audience might not be resonating with the solution and problem that you are trying to solve. This could lead you to create multiple funnels for each channel that ultimately greatly increases your overall conversion rate and marketing ROI. Our Insights: I've had this post in my bookmarks for quite some time and thought this would be the perfect time to share it with SEO This Week because the shopping season for the holidays is getting pretty close. What is offered here is a five step process to leverage Buzzsumo for content creation and influencer marketing campaigns as taught by Neal Schaffer. To be honest, this post is something that Buzzsumo should have created a long time ago to help marketers and content creators use their tools more effectively when they first started out. 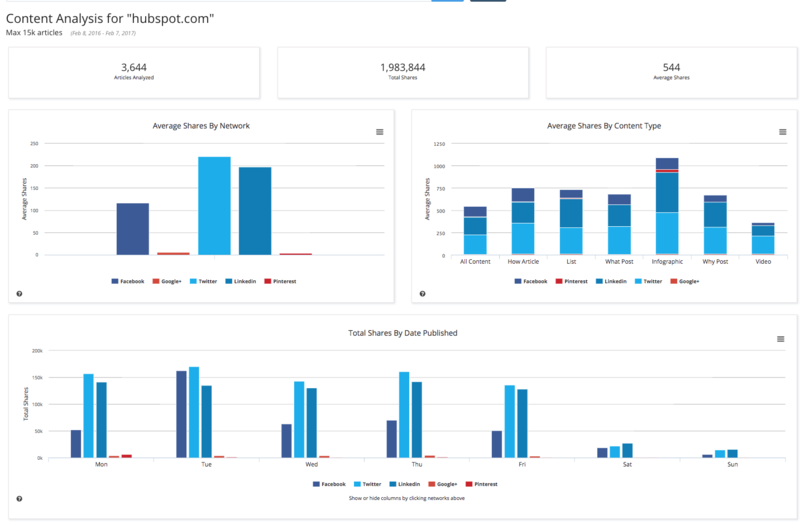 Competing tools are out there now that make the price point for Buzzsumo a non-starter for many. The step here though can be applied to just about any of the tools that measure content popularity though, so don't skip it even if you're not interested in a Buzzsumo subscription. Our Insights: This infographic presents data the looks at the effect of increased ad blocks and the featured snippets boxes to local search results. The end conclusion of the author is that local organic search results will ultimately get fewer clicks, something we saw in the CTR study, as a result of the changes. The author also makes some interesting points on the value of local search to Google and the future of voice search. 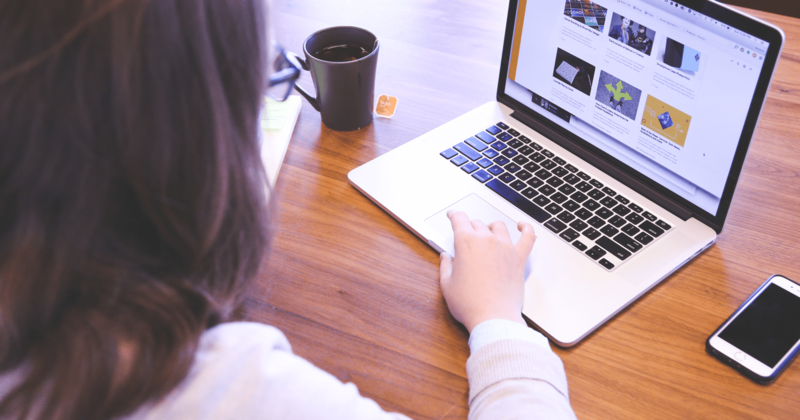 Our Insights: Ever thought about creating a newsletter? Well, after you read this article you just might consider getting that plan off the ground sooner rather than later. The author takes a look at several newsletters created by individuals and company's that are making them a great deal of money. One thing I like about this post is that it's way more than just some overview that was put together to “update” an old post. The author really took the time to analyze these newsletters and how they are performing. Our Insights: While working on Facebook for a bit of agency promotion I saw a lot of people already doing this in their groups. I think it's a great feature if you are like me and try to keep your personal profile separate from your business one. 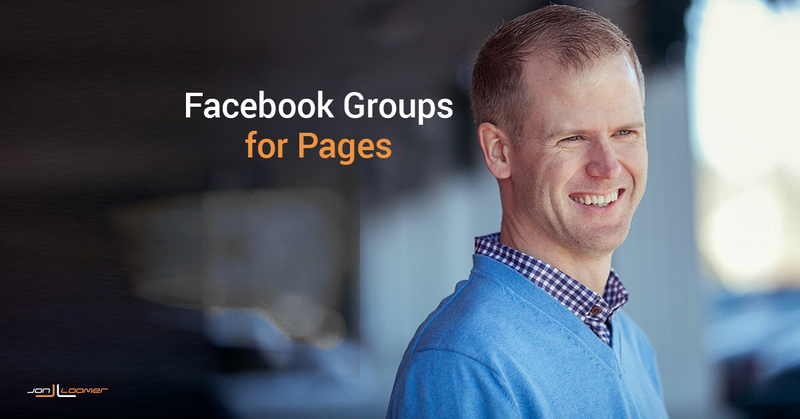 Now you can operate as your page in your groups which will help you increase your overall branding and get your audience engaged with it versus you or your staff. One thing of note lets say you have a page admin who can do work for you. If you connect your page to the group they are automatically added as an Admin to the group. For some people, this might cause concern so all you have to do is make that admin a normal member in the group and all the post as page connections still work. Our Insights: This post is absolute gold! The short version is you look at your reviews and the reviews of your competitors to find out what people liked and didn't like about their experience. Then you take that information and make the copy that specifically targets those points. There is also a great list of tools at the bottom to help you do it and a full tutorial video. Our Insights: With Google's heavy reliance on location data for local search results there is an increasingly hard requirement for agencies to explain why customers see different results in the SERPs from rank trackers or even devices. This article highlights some points about proximity marketing through a 47-minute webinar presentation. I think its a great listen that's you'll get some insights from and perhaps it will help spur some creative ideas for your future marketing campaigns. Our Insights: This is great news for SEO‘s because instant search made it harder to get an audience for specific terms. Now I foresee keyword traffic volumes to stabilize more. 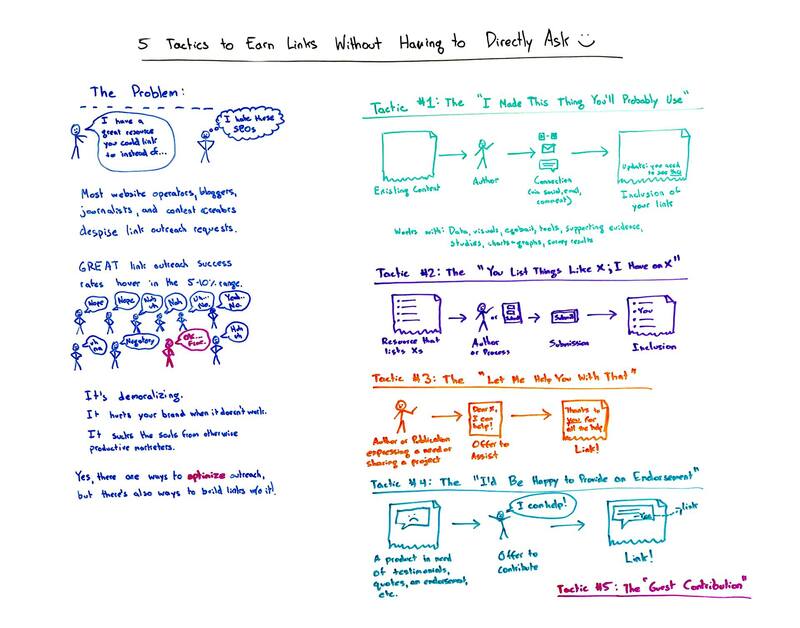 Our Insights: If you have to ask for links are you doing black hat SEO? I asked that with sarcasm. This is a great video that helps people who just don't like the whole outreach process of emailing people asking for a link. The problem is that people are using the same approach and people are getting a little desensitized to the whole link request process. The five methods Rand goes over here will undoubtedly fall into that category as well, so take them and apply then make some changes to make the process a little more bearable. Our Insights: A business should never rely solely on one form of traffic, you should always have multiple sources so if one dies off you won't be all that hurt by the loss. This post offers some suggestions you might not have thought about and some others that are pretty obvious. Our Insights: Do you like to fact check people and write articles about it? If so, this is some markup you can add to your site that will get your pages some extra love from Google, and now, Bing.